ADOT – Drivers in Maricopa should plan for tonight’s road restrictions due to pavement work that is needed as part of the Arizona Department of Transportation’s State Route 347 overpass project at the Union Pacific Railroad. • Honeycutt Road will be closed from SR 347 to Pershing Street. • SR 347 will be reduced to one lane in each direction from Maricopa-Casa Grande Highway to just north of Honeycutt Road. 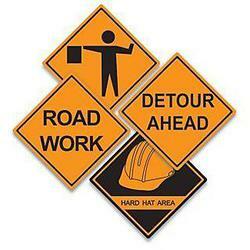 • Detour signage will be in place to direct motorists around the traffic restrictions. The overnight closure is needed as construction continues to progress on the new SR 347 overpass. The future above-grade structure will resolve traffic congestion created at the existing street-level intersection of the state roadway with the Union Pacific Railroad track. Learn more on the project web page.